DYNAMOS Harare Chapter supporters association chairperson Benevolent Karikoga Vono has described the former champions as a religion. Karikoga says this as they seek to keep the team’s tradition of supporters with an undying spirit. He said DeMbare fans should stand with their club both in good and bad times, which are common characteristics in different religions. The Glamour boys are failing to attract huge crowds in the capital as they used to do in the past and Karikoga has implored Dynamos players to respect the reputation of the club. “The quality of football and players at Dynamos and in Zimbabwe in general has gone down compared to previous years. “The likes of Memory Mucherahowa, Kalisto Pasuwa, Lloyd Mutasa, Gift Muzadzi, the late Watson Muhoni (MHSRIP) and many others knew the meaning of this famous blue and white jersey. “We are asking the players to know that this club to some of us is not just a football team but a religion. “We do not have an ambition to control the club, but we are asking the team to invest heavily on quality players and look for several sponsors. “And we are encouraging our members (supporters) to fill up the stadia and cheer up the team” Karikoga told H-Metro. However, Karikoga explained why Dynamos supporters outside the capital have not been disappointing. “Harare fans watch a lot of Dynamos games and when the team is not winning most supporters are economical with their pockets. “Unlike in other areas outside Harare where they watch the team once or just four times a year, they find it to be the best time to watch their favourite team,” he said. Karikoga has promised they will ensure that the Dynamos family grows and should be passed from generation to generation. 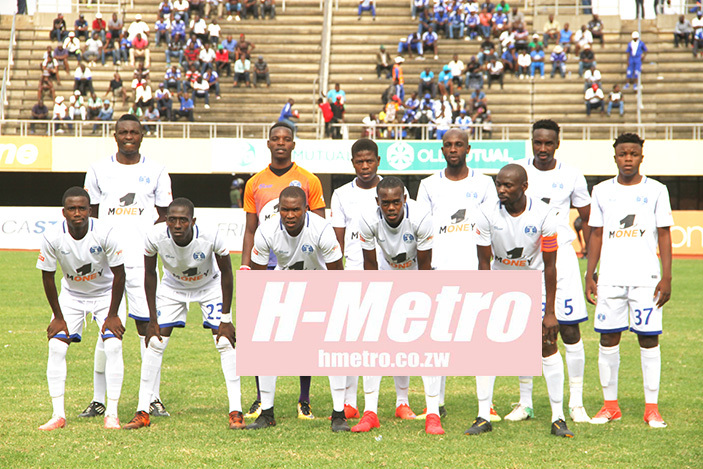 “The only thing we can do is to keep on advocating and spreading the word of Dynamos to reach some areas where they rarely watch Dynamos play like what we did to go to Mutoko. “We want to bring in new fan base, hence we will be solidifying the brand and building allegiance. “The Dynamos fan base should not die and should live forever,” he said. He added: “The Dynamos institution should make sure that they have quality players and also a competent technical staff. “If that is done and supporters are guaranteed entertaining displays from the team. “Supporters will flock back and fill the stadia because they will be guaranteed value for money, at the same time the club must sell original and affordable regalia around the country so as to boost its coffers. “They just need to be organized,” said Karikoga. The chairman of the Harare Chapter said they are worried about the instability that is at Dynamos and they want their voice as supporters to be heard. “As supporters, we are also advocating for a sound club management, nowadays people want to know where the problems are coming from especially when there are always reports about players boycotting training sessions. “The most important thing is to engage the major stakeholders who are the fans than to shun them. “When we ask for some answers especially when the team is playing badly we are branded as an enemy of the club, but we are the fans who are always there for the team. They also benefit from our gate takings. “We are asking to regularly have club and supporters meetings, by so doing this will help to strengthen the relationship between the club and fans in general, not just Harare fans,” he said.